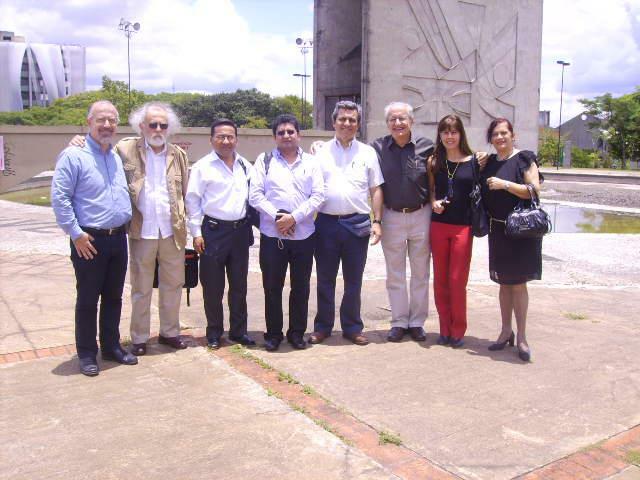 The International Scientific Psychology Network was organized during the Latin American Meeting for Scientific Cooperation in Psychology, hosted by the Institute of Advanced Studies of the University of São Paulo, in December of 2011. During the event, representatives of Brazil, Argentina, Chile, Colombia and Peru discussed and proposed some actions to increase the scientific cooperation in Latin American Psychology. From left to right: Agnaldo Garcia, Enrique Saforcada, José Livia, Wilson López y López , Patricio Cumsille, César Ades, Regina Macedo and Maria Imaculada Sampaio.